23:46: In a clear cold night an vintage car gets prepared for its next rally. 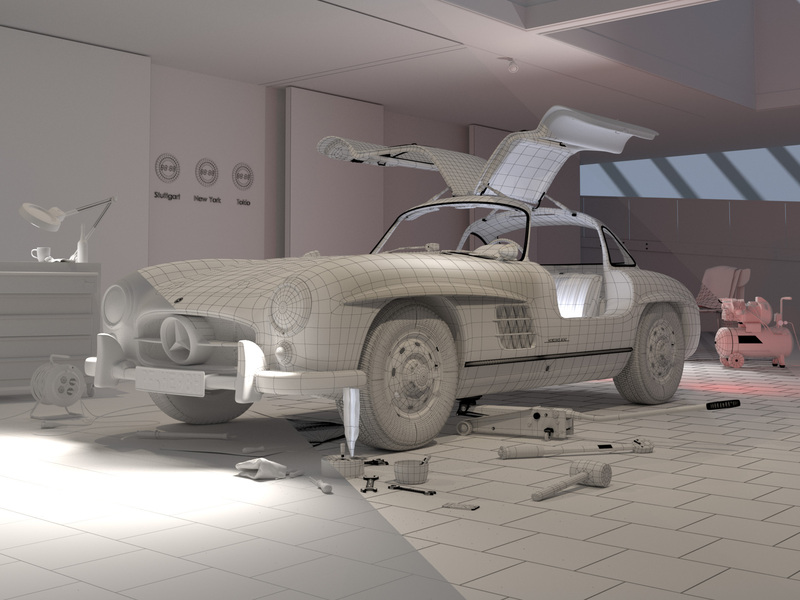 Lonely, the Mercedes 300 SL stands in its garage, waiting for its owner. All the small details tell that he has been there… recently. 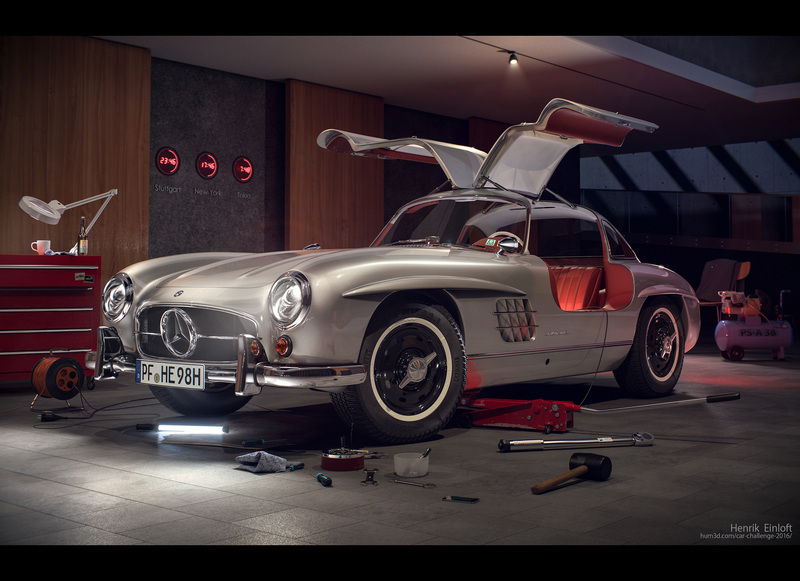 I wanted to create this classic car from 1954 in all its detail, exterior and interior. My name is Henrik Einloft and I´m a Media Designer from Stuttgart, Germany.